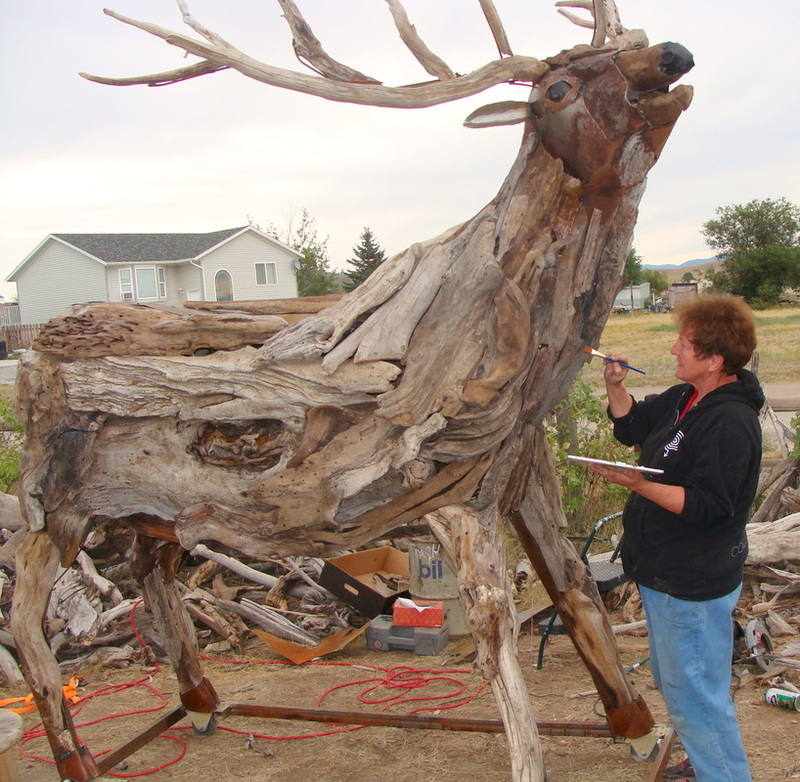 Julie Ryder gathers driftwood from the wilderness where beavers, woodpeckers, flowing water and wild fires sculpt the contours. 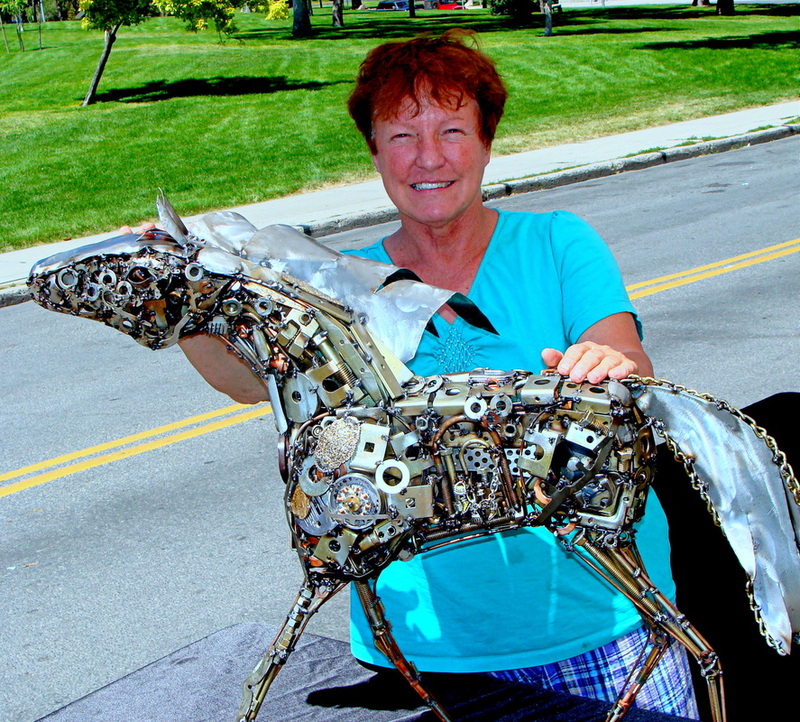 Bill welds a metal structure and Julie designs the wild animals. 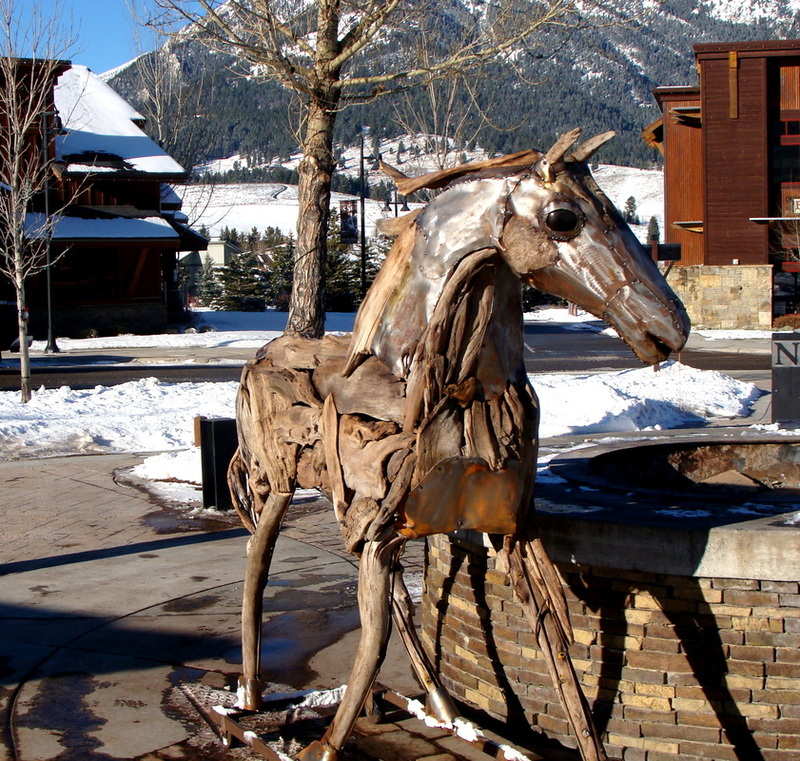 Bill Ryder has been representing his appreciation and admiration of horses through sculpture for the past decade. 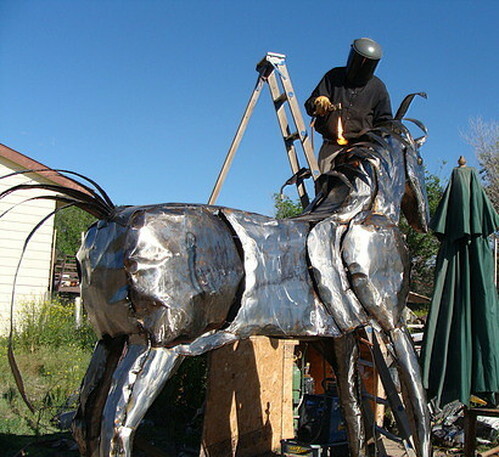 Using metal found objects or new steel he sculpts horses that convey movement and deep emotion. 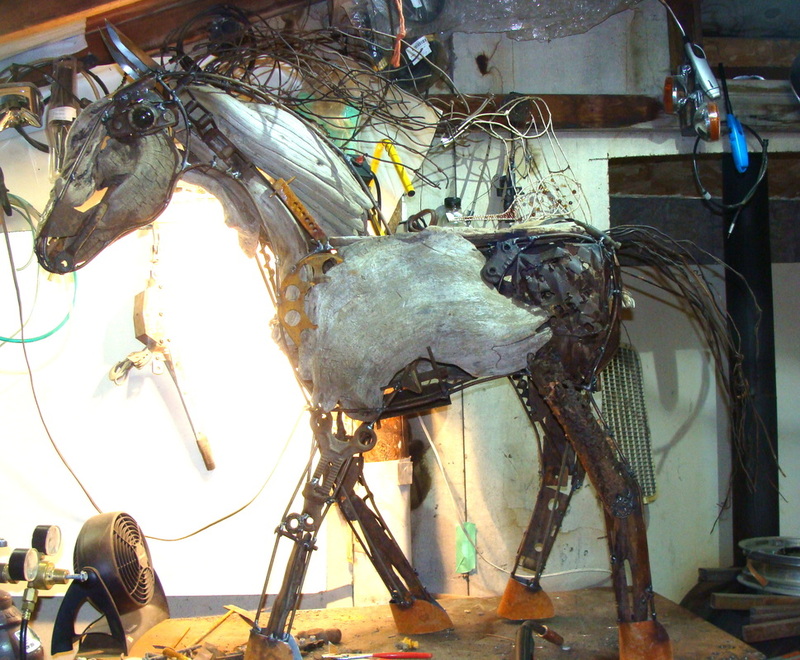 metal and old tools into a small pony on a snowy morning working in our little shop. Treasure hunting at estate sales and antique stores Bill and Julie create their pallet out of old typewriters, jewelry, scrap metal pieces, belt buckles, nuts and bolts. 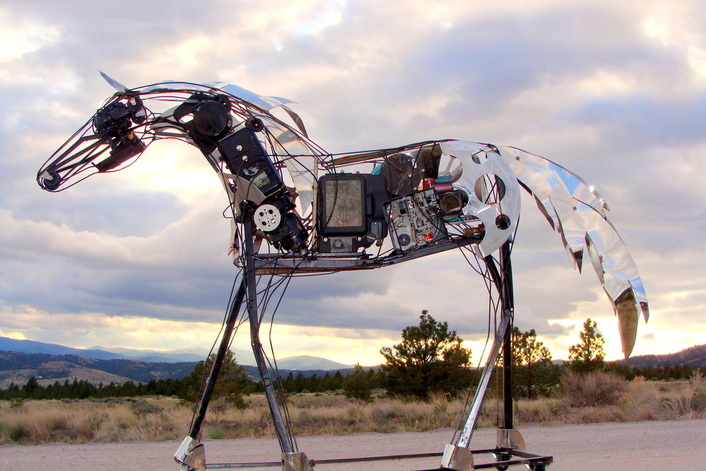 Solid metal reformed by sparks and flame weld and meld into Steampunk sculptures with mechanical density. 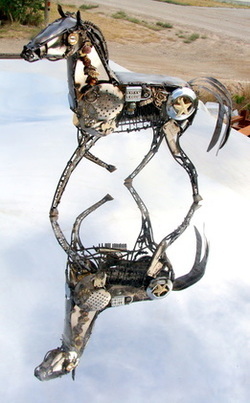 Being present with the large animals that run free near their home in Montana inspires the Ryders to capture the flowing movements and untamed spirit in their art. 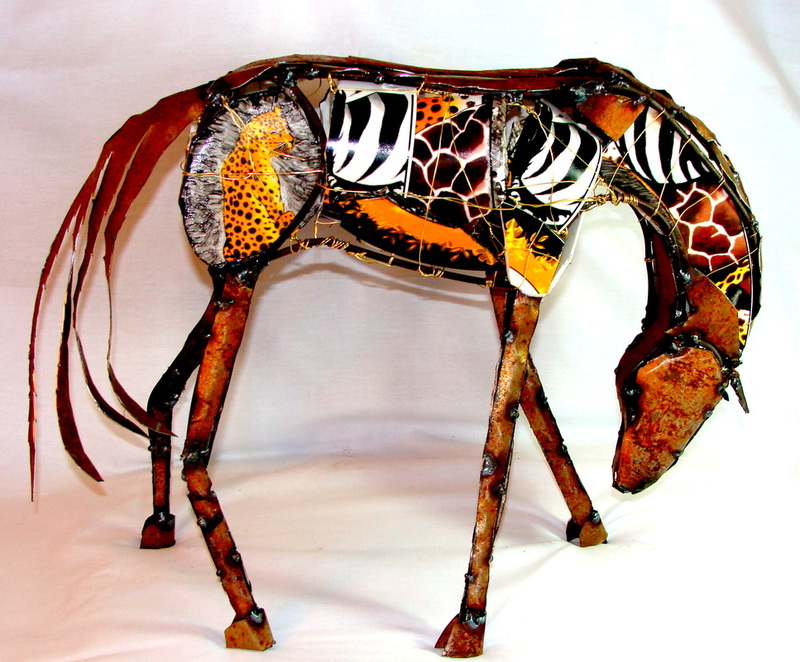 JULIE RYDER created quilts, clay sculptures, fiber arts, rawhide drums, rattles and watercolors which developed her artistic vision. 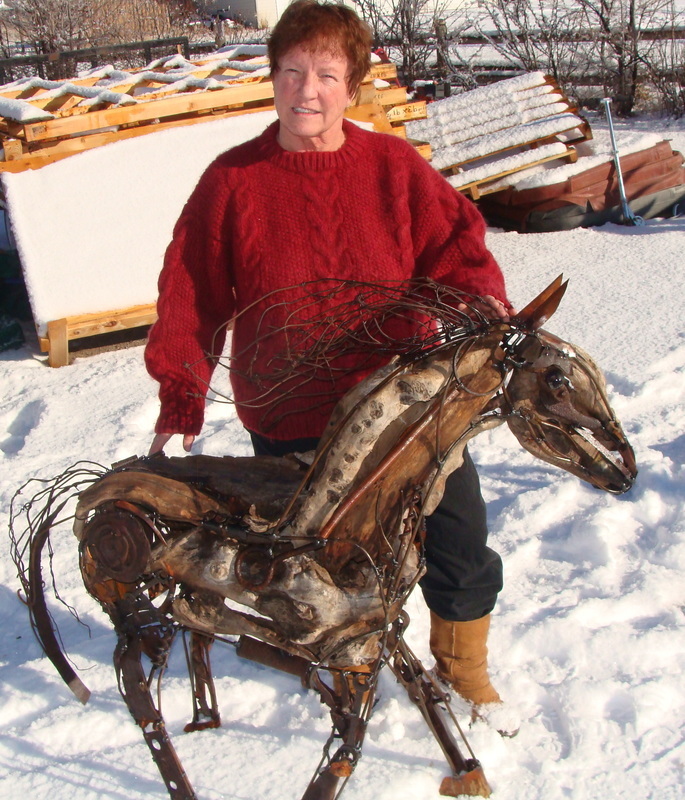 ​In the summer of 2015, Bill Ryder taught Julie to weld metal. Integrating jewelry, marbles, sewing machines, typewriter parts and broken dishes brings back memories of sewing my own clothes, writing my first poems, learning to cook and playing marbles with my brothers.